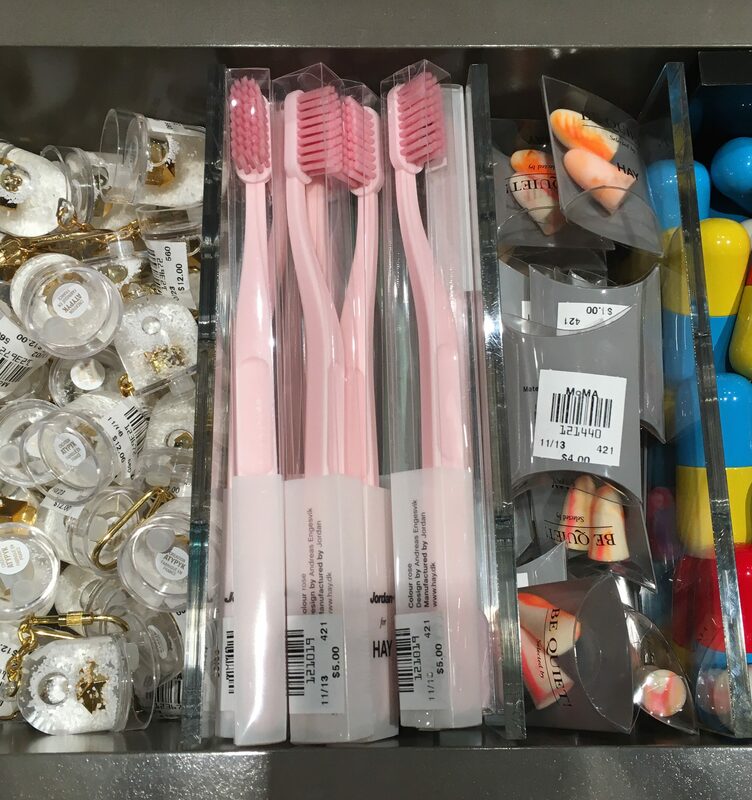 These Pink Toothbrushes with Pink Bristles are sold in the MoMA Design Store (at the Museum of Modern Art in NYC) for $5.00. The toothbrush was designed by award-winning Danish designer, Andreas Engesvik, who is probably best-known for his furniture designs. You can find them in the point-of-purchase area by the registers, displayed alongside colorful earplugs, capsule-shaped pill cases and snow globe key fobs! Art!